JOHANNESBURG – SCHNEIDER Electric, the firm behind digital transformation of energy management and automation, is eager to exploit the substantial demand for information technology (IT) solutions in Southern Africa. 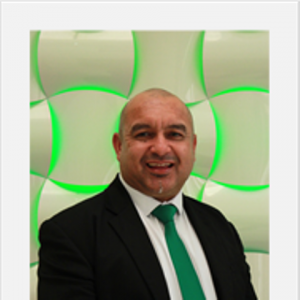 Schneider Electric South Africa has appointed Lucian Reynard as Territory Manager for the Southern African Development Community (SADC) IT Division (ITD), overseeing the company’s turnkey data centre infrastructure and secure power solutions offering. He possesses nearly 30 years of incomparable experience in IT. Previously an Account Manager for Southern Africa in the secure power market – APC by Schneider Electric, Reynard has played a key role in growing their market in the commercial and industrial space. “We are confident that Reynard will translate his experience and IT expertise into improved growth for the wider IT Division solutions in the Southern Africa markets by improving and entrenching our channel focus within the region,” said Schneider’s Rohan de Beer. Reynard said the company had become known as the industry-standard for reliable power and physical IT infrastructure as well as the leading name in IT departments. “Our history of innovation has pushed our products into the global spotlight with infrastructure, management, and data security solutions protecting organisations around the world. I am thrilled to be taking on this next step with Schneider Electric,” he said.